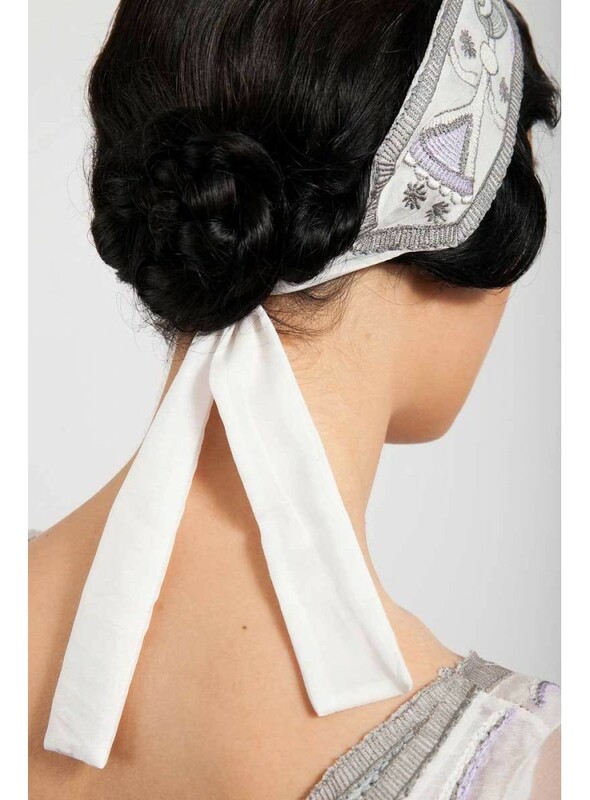 Adorning your up-do with the statement-making Cosette Headpiece in White ensures everyone will do a double take. 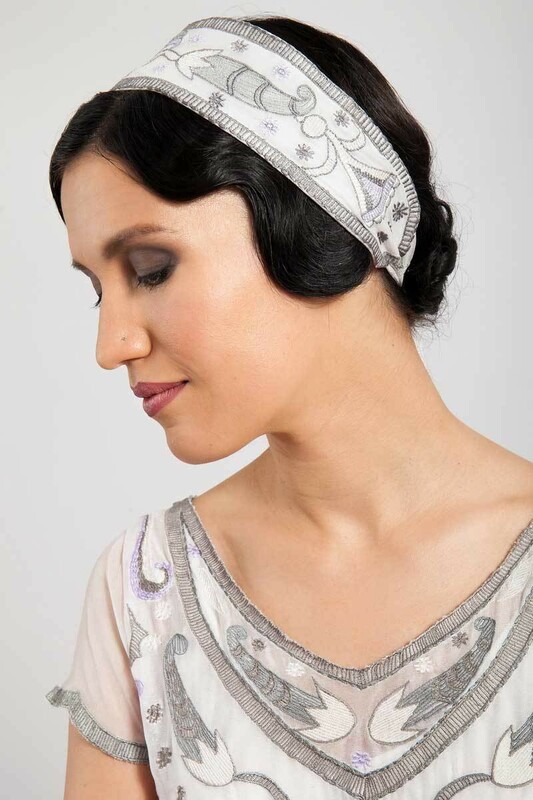 Full of Art Deco elegance, soft colors perfectly highlight the exquisite beadwork and other incredible design details. 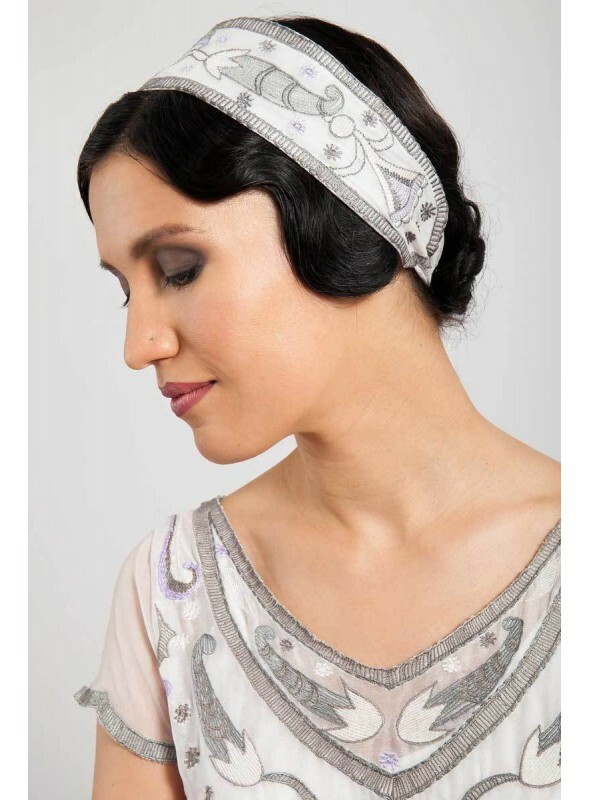 Give everyone something to talk about by adding this accessory to your ensemble.